I can be a little bit of a makeup snob at times. 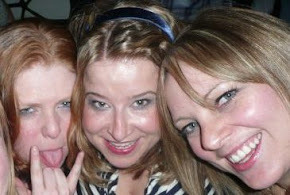 I hold my hands up - I love some fancy pants makeup. My favourite high street or drugstore brand is without doubt Bourjois. Not only do Bourjois offer excellent makeup products they also have an amazing 150 year history which mean they know makeup. I head straight to the Bourjois stand when I'm in Boots and they always have something new and exciting. They have mastered the amazing yet affordable foundation (their foundations are better than a lot of luxury brands) and their mascaras do wonders for my ridiculously bad eye lashes basically they are not only a brand I trust but they are a brand I get excited by (if I had to pick one product that lets them down I would say its their eyeshadow pots which I'm not crazy about). What I love most about Bourjois is their products offer that bit of luxury at an affordable and attainable price. 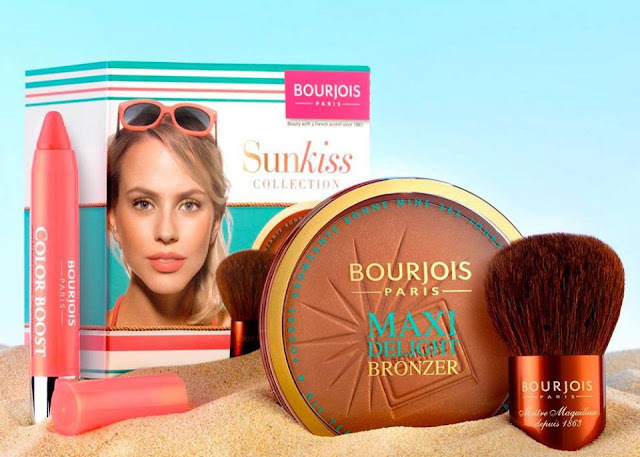 This summer Bourjois are releasing the Parisian Summer Collection* unfortunately this collection is an online exclusive. I only say that because these products SMELL AMAZING and you cant smell the Internet (thank god). I often feel a bit sorry for people in the USA because Bourjois is not accessible to them however this collection is available from asos.com and feelunique.com. WOO HOO. There are four products in the range all of which are made for a perfectly stylish summer. The Parisian Summer Collection not only add a bronze glow to the skin, the products also seem to blur out imperfections making your skin look a little closer to flawless. 8 en 1 BB Bronzing Cream is ideal for perfecting and hydrating holiday skin. Its a product that will definitely be best suited to those with good skin (its not going to cover imperfections), it adds a warm bronze glow to the skin and the SPF 15 gently protects the skin. Pop this on after a day in the sun to enhance your natural tan while its hydration properties with enhance the skin and give a glowing radiance. It comes in 2 colours Light Glow and Dark Glow and costs £9.99 or €11.99. Sunlight Elixir is a summer skin essential. Sunlight Elixir is a dry body oil which has beautiful golden particles which leave a gentle sheen on the skin. IT SMELLS AMAZING. Its an oil but it is not greasy, it drys quickly leaving your arms, legs, shoulders (wherever you please) to look glamours and glowing. Sunlight Elizir also has an SPF 15 to gently protect the skin on the warm summer nights and can also be used on the face. In fairness many brands have similar products but they tend to be luxury brands (Clarins and Nars) and the products cost a lot more than Sunlight Elixir (which costs £11.99 or €16.99). My only gripe with this product is it comes in a glass bottle (as do its counterparts) I understand with a glass bottle the product feels more substantial and a higher quality, I just wish such a perfect summer staple would come in travel friendly packaging. If I didn't love the subtle shimmer and glow it adds to the skin I would buy it for the scent alone. Sun Illusion is basically a revamp of the Bronzing Primer. In case you missed Bourjois Bronzing Primer (whats wrong with you its amazing) its like Chanel Soleil Tan De Chanel Bronze Universel but without the ridiculously long name and expensive price tag. It has a wonderful texture which evens out imperfections, adds warmth but most importantly it looks like skin. So your skin looks perfected and bronzed but naturally so. Thank god Bourjois changed the name from Bronzing Primer (it was confusing) I like to use it alone or as a bronzer over foundation. Its cream consistency is very easy to apply, blend and also blurs imperfections while looking like natural glowing skin. Sun Illusion comes in 2 shades Light Glow (perfect for us Irish Ladies) and Dark Glow, it also smells amazing. You cant beat the price £9.99 or €11.99. Mat Illusion is a beautiful matt natural looking bronzer that smells AH MAZ ING. Every time I apply this I inhale deeply and am transported somewhere exotic and beautiful (good job because its raining here at the moment). I love a bit of shimmer so I never understood the idea of a Matt bronzer until I tried this. I love the effect it has on the skin. Again a natural looking tan which seems to correct the complexion. I recently picked up the new Hourglass bronzer, instead of using the uber hyped and very expensive Hourglass bronzer I have been reaching for the Bourjois bronzer every day. To put it simply its a better product which makes my skin look better. Mat Illusion costs in Light Glow and Dark Glow and costs a bargain £7.99 pr €10.49. All shades featured are Light which are perfect for Irish skins while still adding a nice natural bronze. I wish you could smell these products, I know I am beginning to sound a bit weird but they smell Divine without being overly perfumed. If your looking for a new bronzer Boots have an amazing Bourjois gift. When you spend €20 you can get this amazing gift box which includes a Maxi Delight Bronzer, Bronzing Brush, Color Boost Lip Crayon as well as an exclusive foundation offer. Its very easy to spend €20 on Bourjois you could pick up one of their amazing mascaras and foundations and get all these free goodies. OMG!!! This summer collection is a must have indeed. Great shades and impressive qualities. This I should not miss!